- So Many Miracles: Why Have We Made It So Far and Done So Well? Panama, Peru, CambodiaBright Spots for Esri T-Shirts! 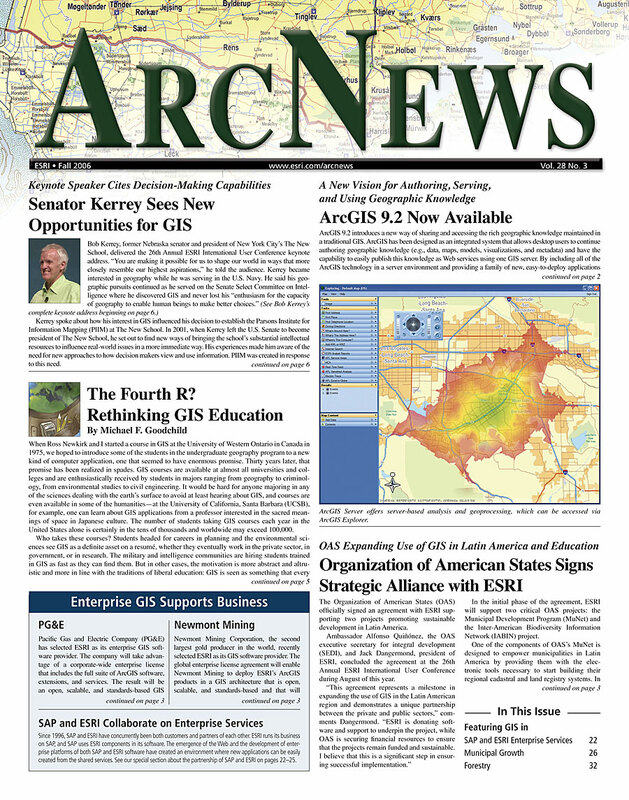 What's New in ArcIMS 9.2? Empowering Forest Landowners with GIS: Managing 300,000 Acres of Prime Hardwood Timberlands at FORECON, Inc.